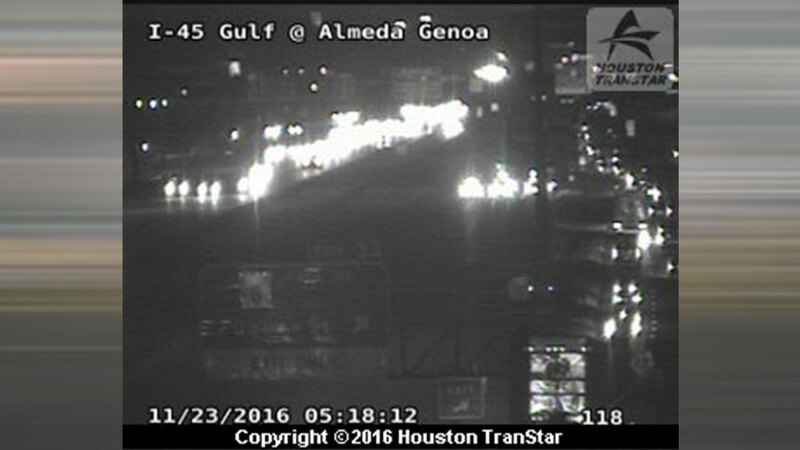 HOUSTON (KTRK) -- A two-car wreck is blocking all outbound lanes of the Gulf Freeway at Almeda Genoa. For travelers headed to Hobby Airport, give yourself extra time this morning. We do not yet know how the accident happened or if there are any injuries as a result of the crash. Katherine Whaley said you can use the feeder road to get around the wreckage.